We offer catering. Lotus is the best choice for your event. Contact us for more information. Lotus is the best restaurant on Long Island for Asian Fusion cuisine. Experience it for yourself. Come enjoy our delicious cocktails in a beautiful atmosphere. Lotus Asian Fusion is a new fusion restaurant blending together Chinese flavors with traditional Indian cuisine. Lotus is set in a beautiful contemporary setting that provides a warm and inviting atmosphere while dining. Our Asian fusion menu provides a unique experience for our customers, transporting them to new worlds through our combination of flavors and our take on traditional dishes. Although we have many fusion dishes, we also have our traditional Indian menu, so whether you prefer a blend of Asian flavor or traditional Indian cuisine, we are sure to have the perfect dish on our menu for you. 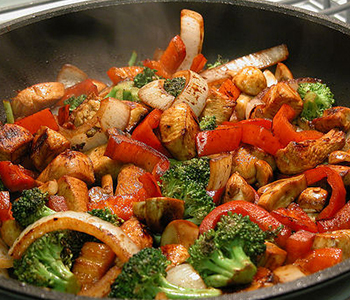 Our goal at Lotus is to provide you with the best food using the highest quality ingredients. We believe that the freshness of our ingredients truly elevates the quality and taste of our dishes. Our signature dish is the Chili Chicken, a boneless chicken marinated with tangy ginger and garlic paste and sautéed with fresh green onions and bell peppers. We also offer platters with a combination of a few of our most popular menu items so you can sample more than one dish. 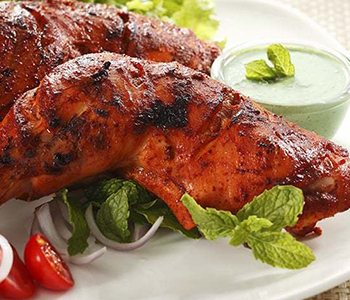 We provide a wide selection of dishes on our menu catering to both vegetarians as well as meat lovers. At Lotus Asian Fusion we are committed to ensuring quality and taste and refuse to compromise on the freshness of our ingredients. We believe our food truly speaks for itself and will have you coming back again and again. ”I love this concept. I've never had Asian fusion and was kind of excited when my date suggested it as I love Chinese food and Indian food. I ordered the Tandoori chicken which came with basmati rice. I very much enjoyed my food even though it was a tad too spicy for me. I actually added honey to my leftovers to lessen the spice kick. It worked! I would definitely recommend this place to anyone that is currently on the fence." -Melanie G.
”I am always at this restaurant. Every time I am in the mood for soup, I really like their hot and sour soup. It's just amazing and just hits the spot. With the thai soup I must get the drums of heaven. It is just a must. 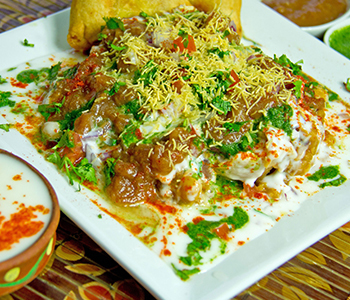 And now my new addition is the chaat." -Jasmine P.